It has been a (long) while since I've had a facial, and I suspect the same for you, too. It's one of those luxuries that really need not be a luxury… and you say that every time you have one, right? The feeling is wonderful, your skin is glowing, makeup glides on a gazillion times easier, and everyone tells you that you look so healthy! Despite being no amateur in the beauty treatment department, I was pleasantly 'shocked' at how different my experience with Laser Clinics Australia was. You guys, my skin has NEVER looked better! Josie's Juice was invited to come along to my local Laser Clinic salon, and my closest one is the brand spanking new one is at the newly refurbished Wetherill Park Stockland shopping centre. And it really is shiny and new and as gorgeous as the staff there. Here is my fantastic, super-knowledgable skin specialist Blair! And so, choosing the right treatment. I had a look at the whole menu of loveliness before I made my appointment, but the lovely staff can help you choose when you arrive at the salon. See the menu link below to see ALL the treatments you can choose. It's a plethora of lovely things for your skin. See? That's the thing that I didn't know about Laser Clinics Australia - it's NOT just about removing unwanted hair! Now, I am not a real hair removal person, not my kinda bag. But if I did have concerns, this is the place I'd come. However, from here on in, I will always know my local LCA to be THE place to get my skin sorted. 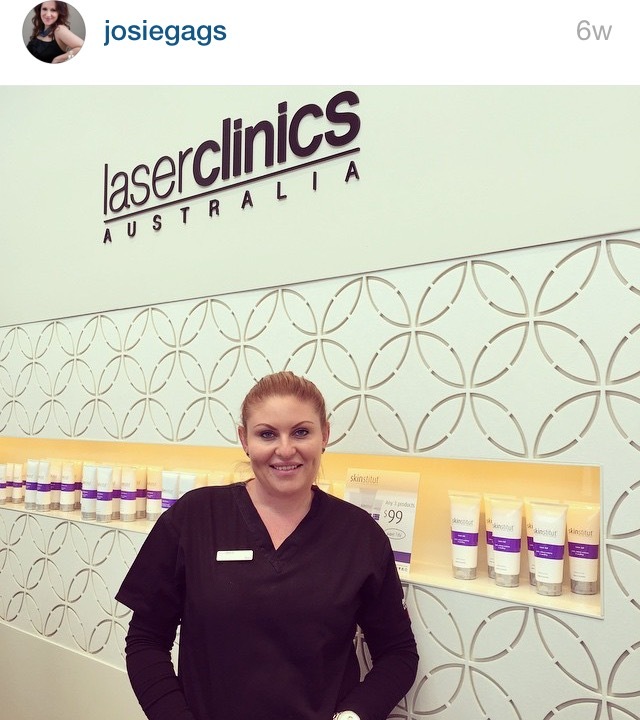 Oh, the whole menu of what you can get done at Laser Clinics Australia is here. And so, when you choose the treatment you want, your beauty consultant can help choose which Skinstitut products are best for you skin type. Just let them know what your skin responds to and what your skin is irritated by, and they will work out the rest for you. It's their job, and they're very good at it! Trust them. 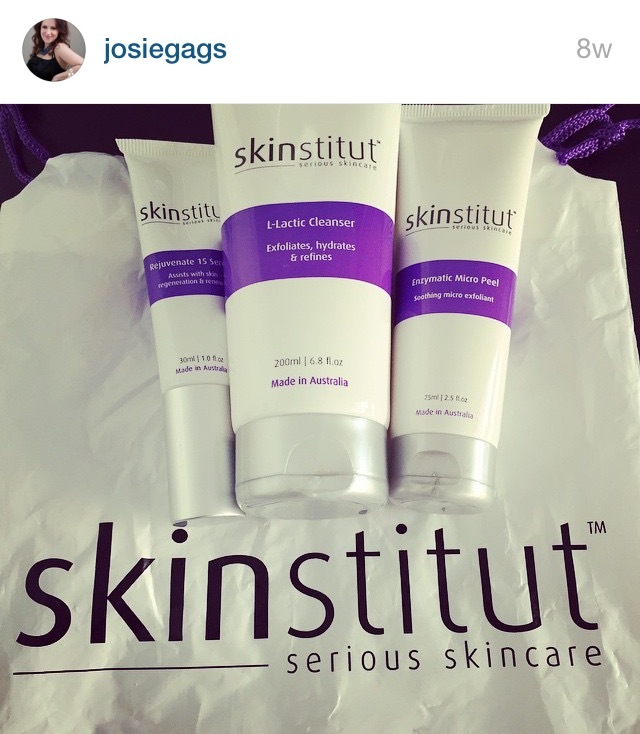 A word about the Skinstitut products - they are the house brand of skincare for Laser Clinics Australia, and I loved hearing from my very knowledgable beauty therapist Blair exactly how they came to be. They were developed by the company, when they decided no existing product on the market could tick all the boxes for what they needed at their salons. I love that! And so, these Aussie-developed and -made products are all that the LCA salons stock, and you know what… it's kinda refreshing to have a narrower, but still very comprehensive choice at the salon. No more wondering which brand to veer towards for your skin, and hoping for the best. The Skinstitut line has it all covered. And… I must say, the products used on my skin were gentle and so delicately, beautifully scented, and such a pleasure to use. You see, they give you the same products they've used on your skin for your tailored facial to take home for your super easy upkeep. Plus your choice of three Skintitut products. Okay, I will say it again… this skin treatment is life changing. Skin has never looked better, I glow, and makeup now glides on. The treatments are gentle enough to handle for low pain threshold wimps like me, but they are heartily delivered and you can feel them working their magic instantly. By the time you are done with each session, done over three weeks, your skin is incredible, though you do feel like you should be putting on a layer of foundation. Look in the mirror, though… you don't need it! Even if you do feel that skin is tingly and sensitive, it's not red raw at ALL; instead, alive and lovely and shiny and new. All in all, would I recommend Laser Clinics Australia? Oh my gosh, it's a resounding YES! Go do it - go treat yourself today. Your skin will absolutely love you for it! To contact Laser Clinic Australia online, click here. To call the Wetherill Park Laser Clinics Australia, call 02 9099 4449.